Includes phone and battery only. No cables or sim card included. Cellular service locked to Verizon. Clean ESN. 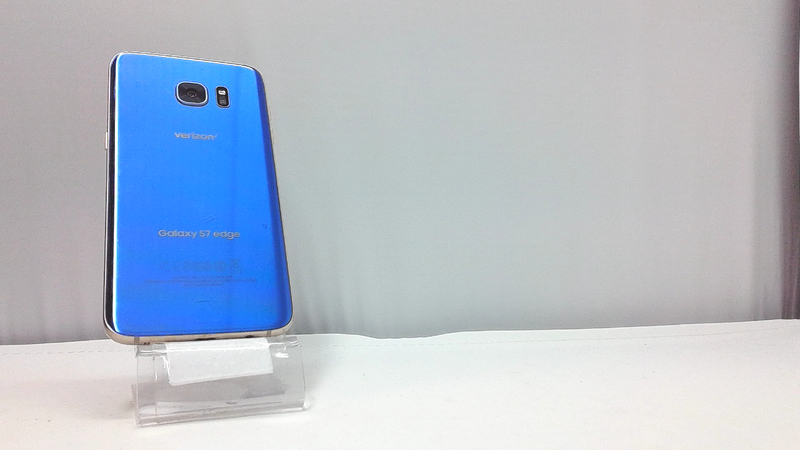 Samsung bar style smartphone in blue. The front glass is cracked along with moderate scuffs/dings. Used and in working condition. 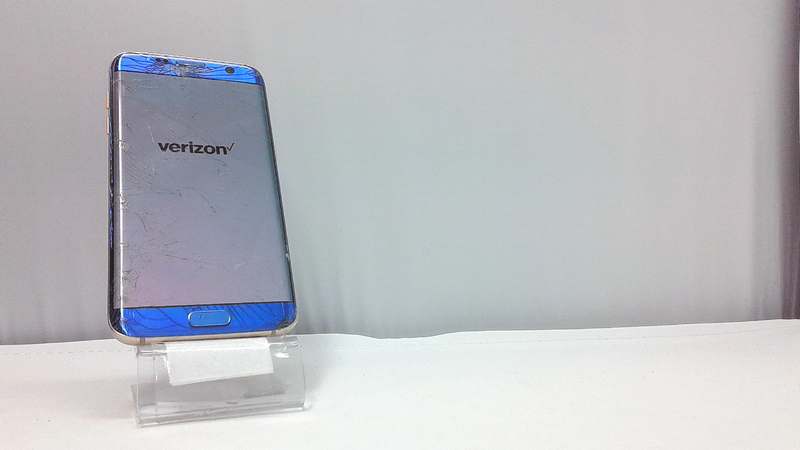 The Galaxy S7 edge gives you a real edge. The Galaxy S7 edge has an extended edge design that puts more experiences at your fingertips. View information such as scores, stocks, headlines and more. Brighter, better, faster photos. The Galaxy S7 edge has a dual-pixel Camera with faster, more precise Autofocus and a low-light sensor. Take charge of the charge. Fast, wireless charging lets you power Galaxy S7 edge from 0-100% in virtually no time. And with Samsung galaxyâ€™s biggest battery (3600 mAh) in their thinnest Device.